Excited about architecture & interiors? Know your way with materials, layouts, and design? – We’re looking for English-speaking writers to join our team at Busyboo.com. Specifically, we’re looking for architecture & interior design buffs to write about unique houses, cabins, prefabs and more. We pay competitive rates. This is a wonderful chance to share your passion for great architecture and beautiful homes with our readers. Also, getting published on Busyboo.com is a fantastic way to build your reputation. If you’d like to work with us, we’d love to hear from you! 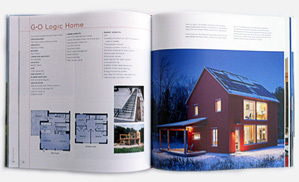 Please get in touch with links to your previous work, showing your ability to write about design. Send it to Busyboo@busyboo.com.